Front Row- Ms. Strassburg, Mary Broxterman, Holly Mitchell, Emily Albright, Alyssa Gooderl, Cassidy Parks, Eryn Daugherty, Ms. Clark. Second Row- Keanu Shopteese, Lily Cannon, Kaylee Andrews, Lindsey Bowden, Caroline Hanson, Karlie Albright, Zoey Russel, Reaghan Koon. Third Row- Connor Baxter, Mae Joslin, Lily Lefferd, Cooper Daugherty, Sophie Anderson, Hayley Harman, Shyree Jackson. Fourth Row- Jack Weidman, Jessica Marney, Hadley Gregory, Kenzie Ogden, Jake Kelly, Colin Caviness, Maddie Saia. Fifth Row- Kyle Patterson, Keesis Potts, Bryce Garrison, Kendon Wege, Brady Klotz. 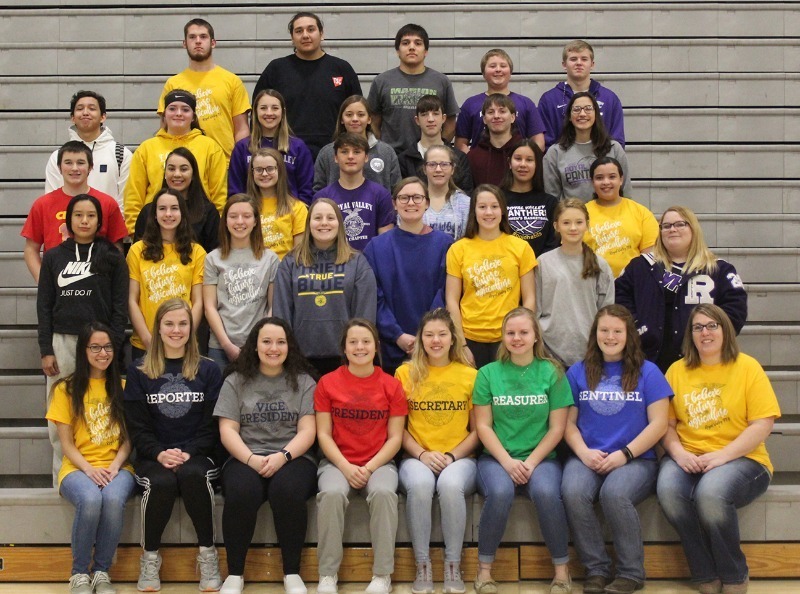 Not Pictured- Mathew Andrews, Starlene Hale, Joseph Lemke, Blaine Lutz, Brailey Metzger, SahBi Potts, Brandon Rodewald, Alyssa Smith, Karsen Smith, Jacob Strecker, Halina Williamson, Sam Riley. 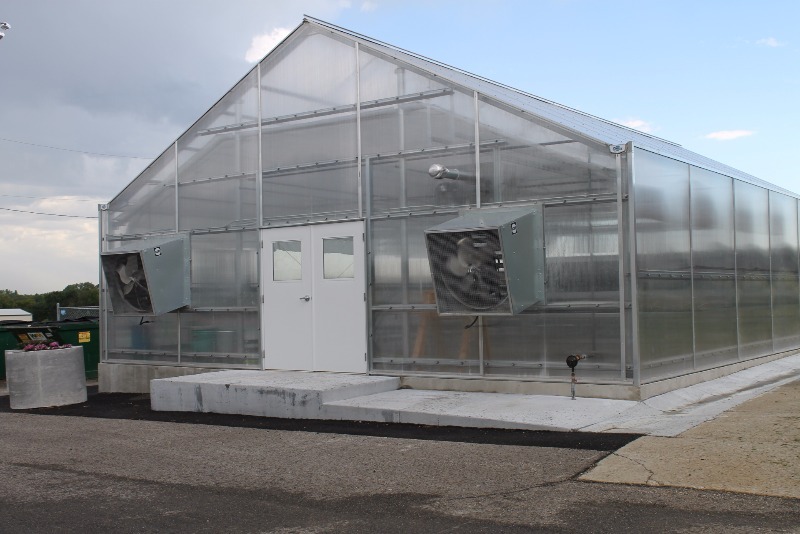 Here are the guidelines for community and school use of the RV greenhouse. Please contact Mr. Holloman or Mrs. Mitchell if you have any questions. 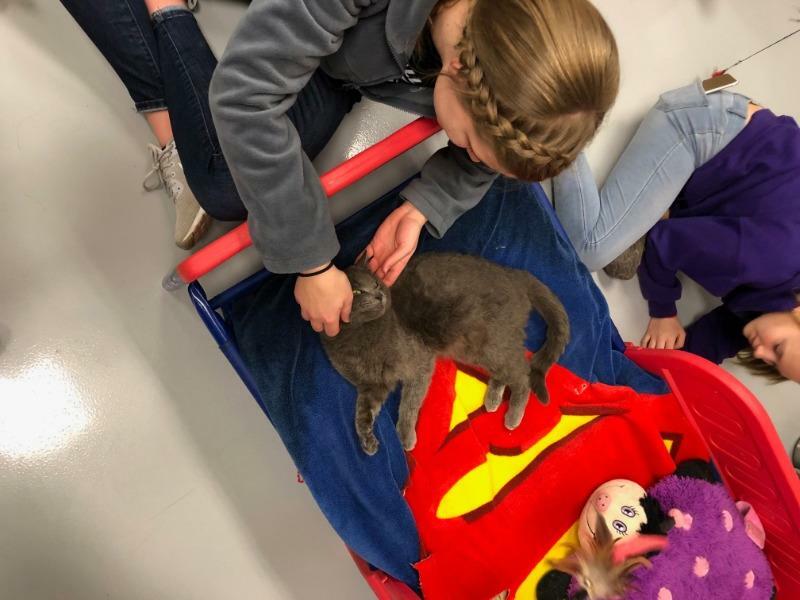 On Tuesday, February 19, the chapter completed the National FFA Week service learning project by going to the Helping Hands Humane Shelter in Topeka. 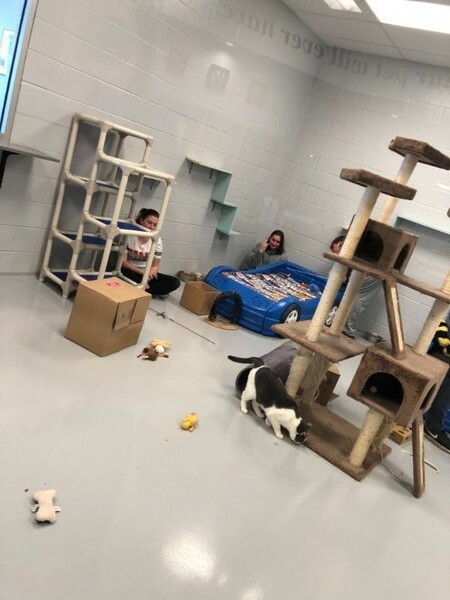 The chapter prepared 38 animals bed for the shelter. 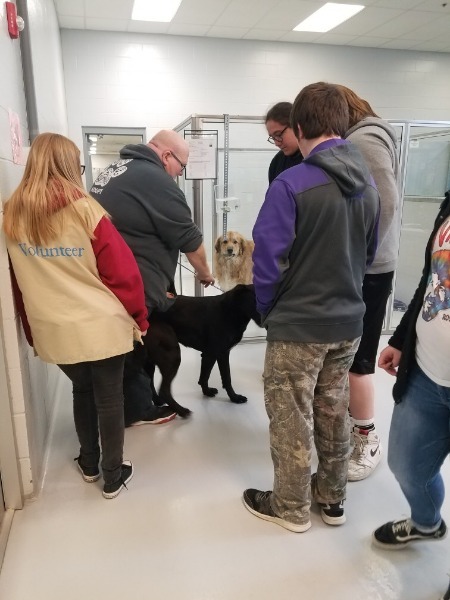 They took 30 students to provide enrichment for the animals. 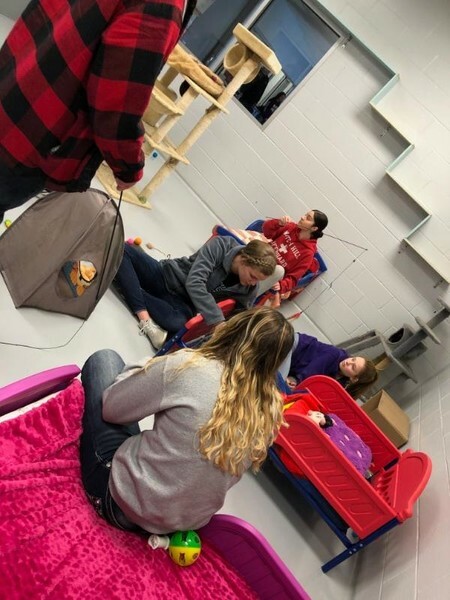 This service project was funded by a National FFA Living to Serve grant which was written by Holly Mitchell with the assistance of Ms. Clark, so it was possible to do it for FFA week. 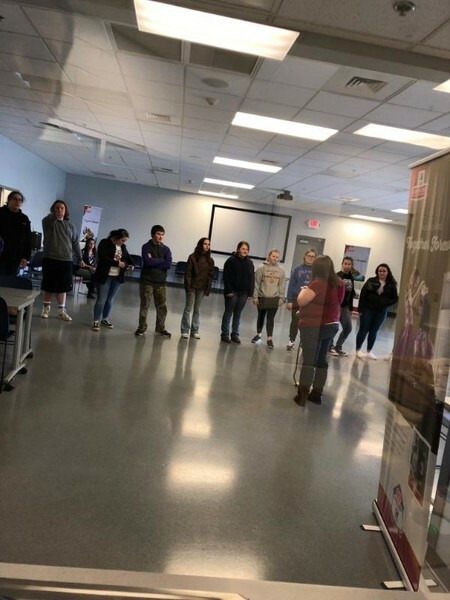 The FFA chapter would like to thank Ms. Strassburg and Barb Harter for taking the students on this experience. 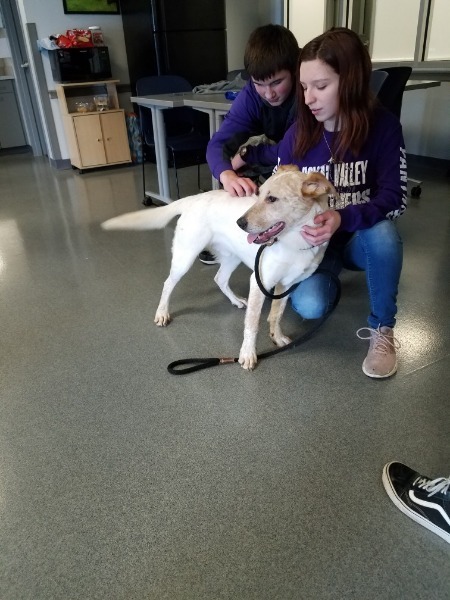 Conner stated, "I was able to see the animals and being able to play with them." 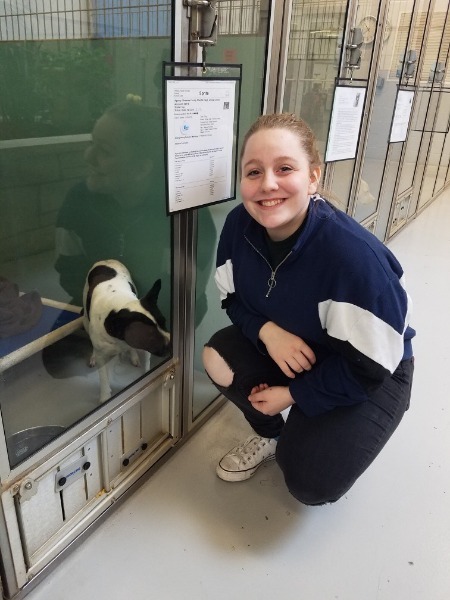 Hadley commented, "It was really fun and I think that the Humane Shelter enjoyed having us there." 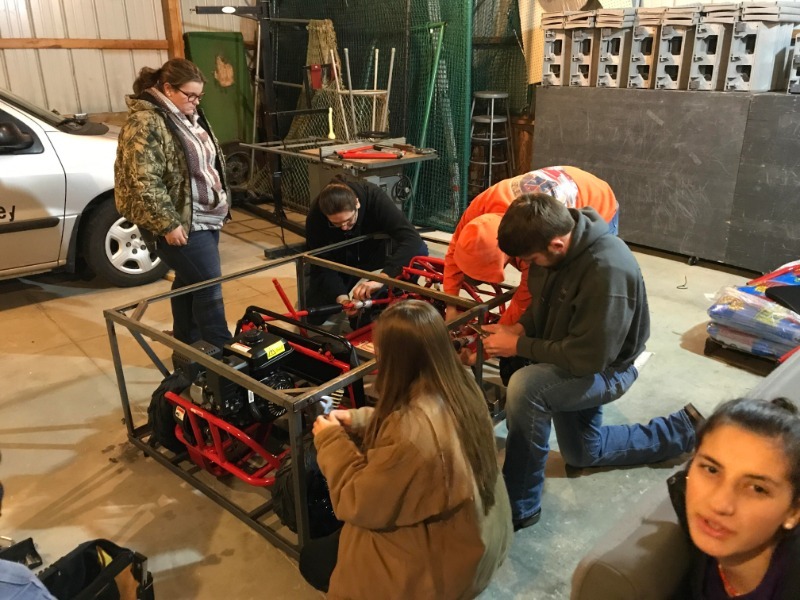 The Royal Valley FFA recently wrote a grant to buy a go-kart to promote safe driving! 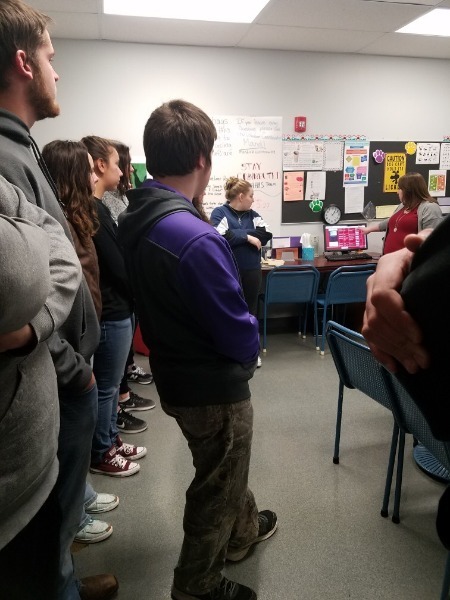 Members learned about and wrote the grant to the National FFA. To qualify, the grant had to fall under the four community guideline focus areas. This grant fell under community safety! 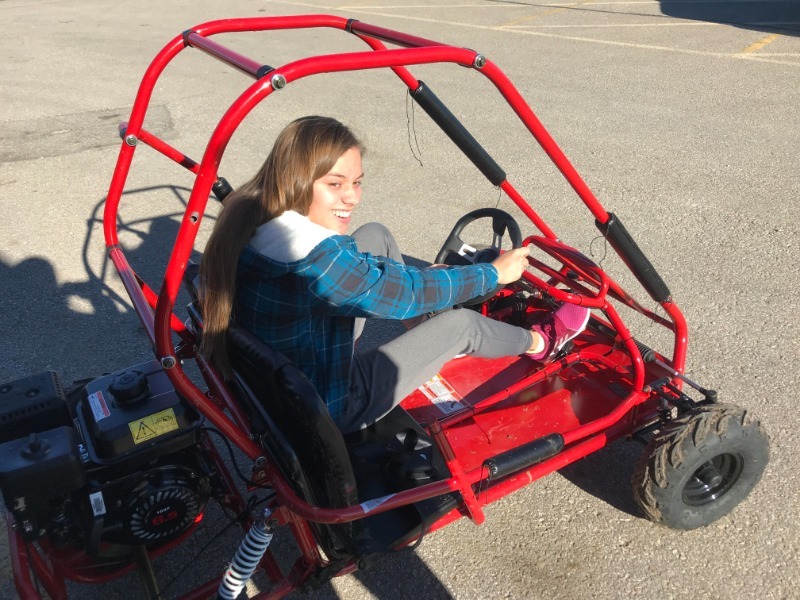 The go-kart and drunk goggles were gifted to Mr. Pelton’s health class, where the students learn about the dangers of driving under the influence. 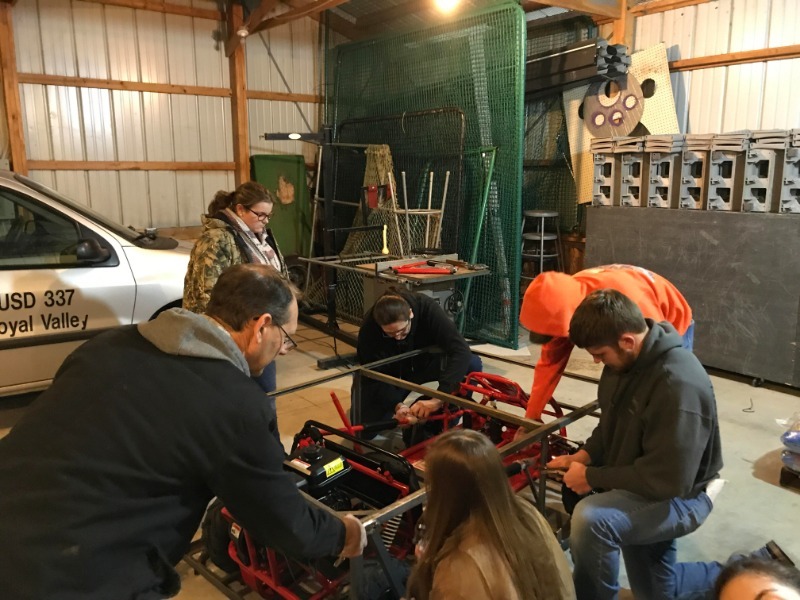 In the past, Jackson County Sheriff's office loaned out a go-kart and drunk goggles for the kids to get hands-on experience on the dangers of driving while intoxicated. It was a real hassle to get it set up and in the past some classes were unable to do the exercise. Thanks to FFA, it’ll be easier! 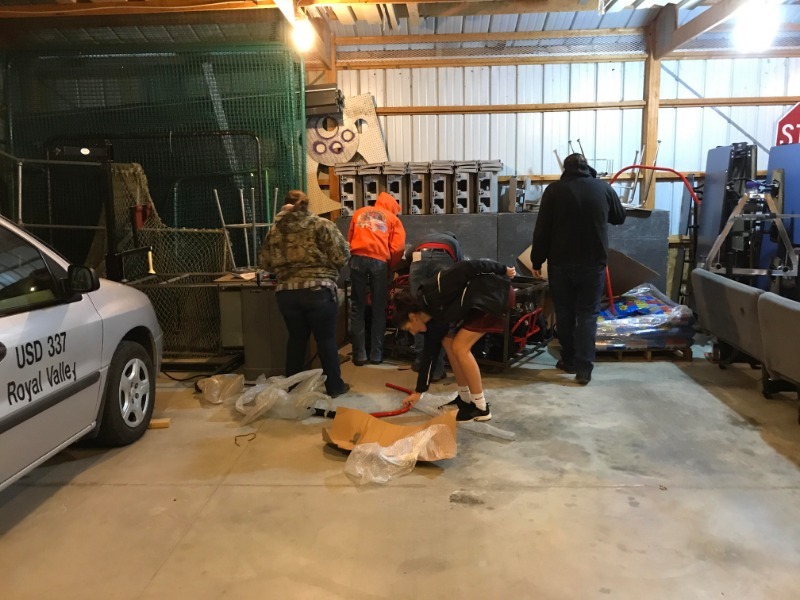 They bought the go-kart and built it themselves! Way to go FFA! Also the Ag. 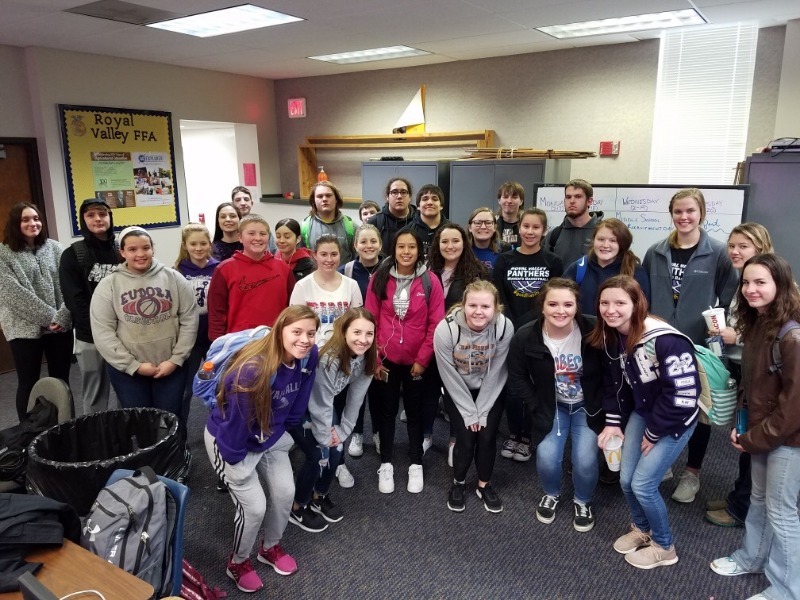 Leadership Class made videos for awareness on the dangers of driving drunk and driving while distracted! The links for those important videos are down below!